I look at this and my eyes are immediately drawn to my neck. If you’ve ever had the pleasure of reading Nora Ephron’s book, I Feel Bad About My Neck: And Other Thoughts on Being a Woman, you know where I’m coming from. This is another of my ink sketches on a pre-painted acrylic ink background… this one with a watercolor wash… and I see I need a haircut too! 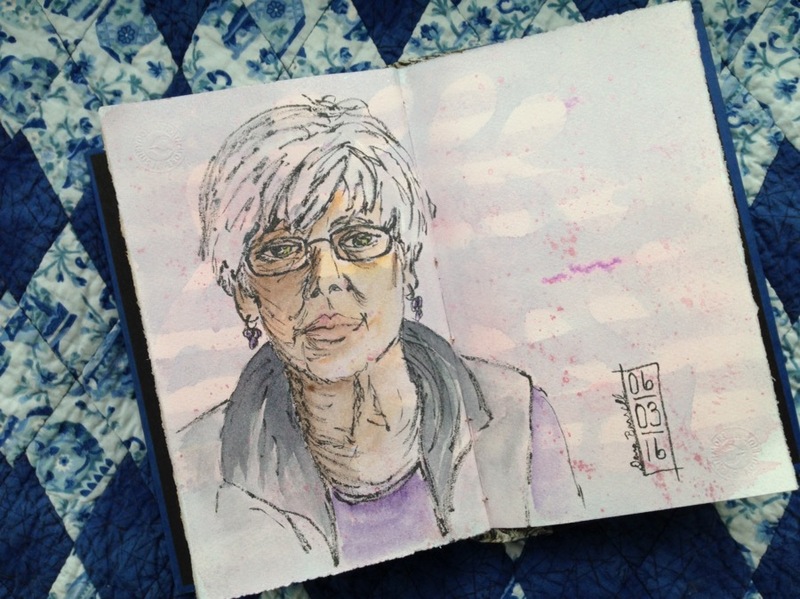 This entry was posted in Ink and Watercolor Wash, Pen and Ink and tagged Backgrounds, FW Acrylic Ink, ink and wash, Nora Ephron, Self-portrait by Dana Burrell. Bookmark the permalink.